1. The University of Wollongong is committed to the appropriate use of Information Technology and Services to support its learning, teaching, research, administrative, and service functions. This policy defines acceptable behaviour expected of Users of University IT Facilities and Services. The University requires users to comply with the IT policies and associated requirements governing the Use of IT Facilities and Services as a condition of their use. These are accessible on the University Policy Directory. Means surveillance, including by means of software or other equipment that monitors or records the information input or output, or other use, of a computer (including, but not limited to, local or hard drive, public network, internet and email and other electronic technologies). Storage provided through IMTS that is protected from data loss. Information Technology facilities operated by or on behalf of the University. This includes services and systems and associated computing hardware and software used for the communication, processing and storage of information. 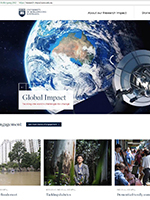 Information Management & Technology Services at the University of Wollongong. A person enrolled in a course at the University of Wollongong. University of Wollongong and controlled entities. Office 365 for Students Services account provided by Microsoft under the Agreement for Email. A person assigned a User Account by the University or a person who is otherwise authorised to use University IT Facilities and Services. An identity assigned to a User, with an associated username, for the purpose of accessing IT Facilities and Services that require authentication by the user. Also referred to as account throughout this document. 1. This policy applies to all use of University IT Facilities and Services. It covers computing, collaboration and communications facilities, examples of which include telephones, facsimiles, mobile telephones, computers, tablets, printers, photocopiers, email, internet access, network applications, web services and similar resources. Use of remote systems accessed via IT Facilities and Services is also covered by this policy. Remote services may have additional local rules and regulations. 2. Users must accept and comply with University IT policies as a condition of use. This policy is designed to allow legitimate and optimal use of IT Facilities and Services. 1. IT Facilities and Services are provided to Users to conduct academic and administrative pursuits. 2. Users must take responsibility for using IT Facilities and Services in an ethical, secure and legal manner; having regard for the objectives of the University and the privacy, rights and sensitivities of other people. 3. Users are authorised to use University IT Facilities and Services when assigned a User Account subject to the other conditions in this section. Authority to use IT Facilities and Services is not normally granted by other means. This does not apply to public services, which do not require authentication to access. All staff and students must have a User Account. 4. User Account creation and management is governed by the IT User Account Management Procedures. 5. Many IT Facilities and Services require authentication in order to access. Access is often further controlled based on roles, which are linked with the username of a User Account. 6. Some IT Facilities and Services are provided only for specific functions and may only be used by specifically authorised Users. 7. Users must use IT Facilities and Services only in the manner intended for their role. 8. Users must not share their User Account or password or other authentication credential. Users must not use an account assigned to somebody else. This does not apply where authorised IT support staff are conducting their duties and the User has provided their credentials in the course of receiving support. 9. Users must set up the self-service password reset capability to assist when a password is forgotten or expired. 10. Users are discouraged from recording passwords on paper. A secure password management system is recommended if needed. 11. Users have a responsibility to be vigilant and know how to protect themselves and IT Facilities and Services. Users must comply with the Cyber Security Policy. 12. Managed computers that are compromised will be reset to the standard image and software reinstalled by IMTS support staff. 13. It is important that all software on devices is up to date to ensure known security vulnerabilities are fixed. 14. Attackers use email to target Users. It is likely Users will encounter various forms of these popular threats. a. malicious email will attempt to entice Users to visit fake and forged websites to steal usernames and password. b. malicious email will attempt to persuade Users to open attachments that may lead to compromise of the device with malware. c. malicious email may encourage Users to take the first steps leading to a fraud scam. d. Users should avoid clicking through website links contained in email.. Where there is cause for suspicion the known site address should be typed into the browser or a search for the website undertaken. d. software must not be installed if prompted. Software should only be installed if the User is authorised to do so and has deliberately downloaded the software from a trustworthy source. 17. The University uses various network and device security controls to help protect from cyber attacks. Occasionally these controls interfere with user experience, the University attempts to maintain an appropriate balance. Users must not subvert nor attempt to subvert any security control. 18. Access to a User Account may be temporarily suspended if the account is suspected to be compromised and is posing an unacceptable risk. 19. Users must not give means to a third-party to access IT Facilities and Services without approval from the IMTS Security Team. c. information placed on a computer using their account. 21. Users must not use the IT Facilities and Services for the following activities. d. deliberate unauthorised access to facilities or services. 22. Users should exercise care when using IT equipment. Users will be held responsible for cost of repair if damage is caused through misuse or negligence. Damaged equipment that may cause harm must not be used. Damage to IT equipment must be reported to IT support staff. 23. IT Facilities and Services must not be tampered with or moved without authorisation. 24. When using computer laboratories. rules, signs and instructions from IT support staff must be complied with. Users must provide identification to support staff if requested. 25. Users may use a personally owned device such as a laptop, tablet or smart phone to access IT Facilities and Services on the following terms. 1.1. Users may connect to the University Wi-Fi network or remotely access services via Internet. 1.2. Users must not connect a personally owned device to a wired network port without authorisation. 1.3. Users must comply with this Acceptable Use Policy. c. Password protect their device. 1.5. A device must not be used where it is known to have a security compromise. Users must reinstall the operating system and all software from trustworthy sources before continuing to use the device. 1.6. Users must not store confidential or valuable University data on a personally owned device. 26. Procurement of externally hosted IT services must comply with the Purchasing and Procurement Policy. 27. Users must not store or backup confidential or valuable University data with externally hosted services other than where provided through and approved by IMTS. c. the lecturer has given their authorisation. 29. Exceptions may apply to PhD research students using IT Facilities and Services provided to carry out their research. Any software that is to be installed on these facilities must go through the normal software purchasing and approval mechanisms. 30. The IT Facilities and Services are provided to support the University’s teaching, research, administrative and services purposes. d. interfere with their employment or other obligations to the University. c. unauthorised gain to a third-party. 33. The University provides all Staff and Associate Accounts with a UOW email account. 34. The University provides students with a UOWmail email account. Students are required to comply with the UOWmail Conditions of Use when using their UOWmail account (see Appendix 1). 35. There are limits to the size of email items and the amount of email retained on servers, these may change from time to time. 36. There are limits to Internet data and bandwidth use, including web browsing activity, these may change from time to time. 37. The University may block or re-direct incoming email if they are deemed to be harassing or offensive to the recipient. 38. The use of telephones and mobile telephones must comply with this policy and with the Telephone and Mobile Use Policy. 40. Users must consider security requirements of University data they create and access. If data is confidential, private or intellectual property requiring protection, it must be handled to avoid unintended disclosure. If losing data would incur a high cost or impact to the University, it must be handled to avoid accidental loss. 41. Technical controls (e.g. file permissions and authentication) must be used to restrict access to data only for authorised Users. 42. Data storage solutions provided by IMTS are suitable for storing both confidential and valuable data. These solutions are accessed via the network, have authentication and access controls, and provide a high level of protection from data loss by maintaining copies in multiple sites and use highly redundant technology. Current solutions are referred to as central file shares, home drives (H drive) and shared drives (S drive). 43. Confidential data must not be stored on external or portable drives. 44. Confidential or valuable University data must not be stored on personally owned devices. 45. Confidential or valuable University data must not be stored on cloud services or externally hosted services other than where the service is provided through and approved by IMTS. 46. Users must only examine, disclose, copy, rename, delete or modify data if they are authorised to do so. This includes stored data and when in transit via a network. 47. Obsolete devices which have stored confidential data, must be disposed of securely to avoid accidental disclosure. Users should consult with IMTS for advice before proceeding with such activity. 48. Valuable University data must be stored to avoid accidental loss. It is not sufficient to rely on storage devices in desktops, laptops, external/portable drives, tablets and telephones to store valuable data. 49. All valuable University data must be primarily stored (or have a current copy stored) on enterprise storage provided through IMTS. 50. It is common for user devices to fail and cause loss of all data stored on the device. Be aware that the hard drive, desktop and ‘my documents’ folders are not automatically backed up. Users must maintain current copies of valuable data on enterprise storage systems. 51. Users are responsible for making use of software and electronic materials in accordance with the Copyright Act 1968 (Commonwealth), software licensing agreements, and any applicable University policies including the Copyright Policy. 52. Unauthorised copying or communication of copyright protected material (including music and videos), violates the law and is contrary to the University’s standards of conduct and business practices. The University will enforce controls within the institution to prevent the copying or use of unauthorised music, videos, and software. This includes effective measures to verify compliance with these standards. 53. Staff and students can copy and or communicate copyright protected material for teaching or study purposes where they have the permission of the copyright owner. Limited permission may be granted, for example, via website statements, license agreements, or under the statutory license provisions of the Copyright Act, 1968 (Commonwealth). 54. Staff and students may also be able to copy limited portions of material under the ‘fair dealing’ provisions of the Copyright Act, 1968 (Commonwealth). 57. User’s names and usernames will be listed in directories accessible to other Users for the purpose of enabling collaboration. Users may apply to use an alias for this purpose where they have reasonable privacy concerns. 58. Users must be aware that unless encrypted, stored data and data in transit via the network may be able to be accessed by unauthorised persons. Users should use secure network protocols for transferring data on the internet. 59. When using a multi-user system such as shared Solaris OS computer, users must be aware that many of the activities undertaken may be visible to other Users. For example, session start and end times; origin of session; as well as commands and command arguments executed. 60. Logs of User activity are maintained by IMTS for troubleshooting, accounting, security investigations, reporting and legal purposes. These logs include times of sent and received email; email addresses (both sender and recipient), network activity metadata, web sites visited, telephone call records, files read or written; and computers and services accessed. These logs are stored securely and are retained for at least 2 years. 61. Be aware that unforseen security weaknesses or failures may result in a determined person accessing private or confidential data. Additionally, authorised IT staff may incidentally observe data during the course of their duties. 63. The University is committed to meeting its statutory obligations under the Workplace Surveillance Act 2005 (NSW) and this IT Acceptable Use Policy represents formal notification to Users about activities of the University that fall within the definition of Computer Surveillance. f. accessing personal devices that have been used to conduct University business. c. access to software applications. d. the University was not aware (and could not reasonably be expected to be aware) of the identity of the employee who sent the email or that the email was sent by an employee. b. the website or email contains information relating to industrial matters. 69. Access to data will only be granted following a request from the Executive, Executive Dean or Director, made in writing and approved by the Director, IMTS or delegated persons. 70. Access to any data will always be via network or systems administrators, or via persons nominated by the Director, IMTS. The University’s policy and statutory legislation relating to privacy will be upheld in all cases. 1. This compliance section is relevant and enforceable across all IT Policies. 2. The University treats misuse of its IT Facilities and Services seriously. Violations of the conditions of use of IT Facilities and Services may result in temporary or indefinite withdrawal of access, disciplinary action under the University’s or relevant entity’s discipline procedures, and/or demand for reimbursement to the University. 3. IT misconduct by students will be dealt with under the Student Conduct Rules. The Chief Finance Officer or their nominee will be the Primary Investigation Officer of allegations of IT misconduct by students. Detailed investigation procedures and the penalties that may be awarded to students engaging in IT misconduct can be found in the Student Conduct Rules. 4. In the case of misuse of IT Facilities and Services by a staff member of a controlled entity or affiliate, a User’s access will be withdrawn following a written request from the relevant Director/CEO of the controlled entity or affiliate. Access may also be withdrawn by IMTS in response to a suspected policy violation. A User whose access has been withdrawn may request reconsideration of the decision by the Director, IMTS who shall consider the withdrawal in consultation with the relevant controlled entity or affiliate. Following this, the Director, IMTS shall confirm the withdrawal or reinstate access. 5. Misuse or unauthorised use of University IT Facilities and Services may constitute an offence under the Crimes Act, 1914 (Commonwealth) and/or other pieces of State or Commonwealth legislation. Nothing in this policy may be taken as in any way diminishing or removing a person’s obligations to comply with the law, or their liability to prosecution and punishment under law. 6. Users are encouraged to report any misuse and any reports will be treated as confidential. 1. Roles and Responsibilities are as detailed throughout this Policy and in the Cyber Security Policy. Policy converted into new ITS policy format. Revised compliance statement to conform to the new Rules for Student Conduct. Compliance section under Administration and Implementation changed to include a reference to reimbursement to the University. Revised software and electronic materials section in line with the Music, Video and Software Piracy Policy. Completed the “Rules Governing the Use of IT Facilities” as an appendix to this policy. These are an extraction of the adopted IT policies and replace the now obsolete “Rules governing the use of University computer facilities”. Removed appendix for email etiquette and rules governing the use of computer laboratories from this document. Included p2p example under General Principles Point 8. Revised and updated policies approved by Finance and Resources Committee. 1. The University has entered into the Office 365 for Students Microsoft Volume Licensing Online Services Use Rights (“the Agreement”) with Microsoft to provide UOWmail accounts. This means your UOWmail account is an Office 365 for Students Service Account. 2. The University has obligations under the Agreement with Microsoft to ensure that any User complies with the following terms and conditions in accessing and using their UOWmail account. a person enrolled to study or registered for a course at the University. 1. The University provides Users with a UOWmail account to enable communication on study and University related matters. 2. Users acknowledge that they cannot delete their UOWmail account until they are no longer enrolled at the University and their UOW user account has been deleted in accordance with the UOW IT User Account Management Procedures which can be accessed at http://www.uow.edu.au/about/policy/it/index.html. At this time a User must request to have their UOWmail account deleted. Alternatively, the User’s account will be deleted in accordance with the IT User Account Management Procedures. 3. Users acknowledge that the University cannot guarantee continuous access to the UOWmail due to IT system maintenance and unplanned outages. 4. Users acknowledge that Microsoft may filter UOWmail accounts for spam and other malware and block access or prevent delivery of communications in order to protect itself, its customers or to prevent a breach of the Agreement. 5. Users acknowledge that Email is not a secure means of communication. While the University and Microsoft will both use best endeavours to ensure the security of their IT systems, this cannot be guaranteed particularly when communicating with parties external to the University. 6. Any User under the age of 16 must provide the University with written consent from their parent or guardian before the University can grant access to a UOWmail account. The consent must expressly authorise the provision of a UOWmail account in accordance with the UOWmail Conditions of Use. 1. Users consent to the University providing their name, UOW user account name and Password to Microsoft for the purpose of access and management of UOWmail. The University will only disclose personal information to Microsoft as required to provide the User with a UOWmail account. 2. Users agree and acknowledge that any personal information collected by Microsoft may be transferred outside Australia and stored and processed overseas. 3. Users agree and acknowledge that Microsoft may need to disclose their personal information in order to comply with the law. 4. Users acknowledge that in dealing with personal information Microsoft’s privacy practices and policies comply with the relevant provisions of the Privacy and Personal Information Protection Act 1998 (NSW) and the Privacy Act 1998 (Commonwealth). 1. Users understand that their UOWmail Password is synchronised with their UOW user account password whenever their UOW user account is active. Users can change their Password in UOWmail however the next time a User changes their UOW user account password it will automatically change their Password in UOWmail. 3. At this time their UOWmail account Password will no longer be synchronised with their UOW user account password. 4. Users are responsible for the use of their UOWmail Password. Users should keep their Password secure and not disclose it to anyone. f. resold or distributed the Microsoft Services, or any part of the Microsoft Services.